Interstuhl is a supplier of high-quality chairs, desk chairs and conference chairs. The harmony of sitting is the theme of Interstuhl - and this is far more than creating a comfortable chair. That's why, at Interstuhl, the challenge is to combine modern designs with a perfect ergonomic concept, making sitting more comfortable. Today, Interstuhl is a recognized manufacturer of high-quality, innovative and, above all, well thought-out seating furniture in the high-end price segment, similar to many chairs by Vitra or Fritz Hansen. However, everything started in a small smithy on the Swabian Alb. But since farriers were less and less in demand in the post-war period, Father Wilhelm Link and his son Werner decided to go a new way. In the 1960s, for example, Interstuhl began to produce subframes for sewing machines. Soon the two founders of Interstuhl realized that there was a striking lack of chairs for seamstresses on the market. In this way, the useful things were combined with the commercial, and the first chairs were produced next to the racks. Only seven years after the start of the production of the sewing machine, in 1967, the company was given the name of Interstuhl and henceforth the future of the company was seen in the production of seating furniture. A logical step in looking at the company and its success to this day. The name Interstuhl has established itself long since. Until now, Interstuhl is an owner-run family business. Today the grandsons of the company's founder continue the tradition of Interstuhl and manufacture chairs of the highest quality. The quality of the seating furniture is of great importance. Since, however, the average office space demands everything from the chairs, Interstuhl sets the highest demands on the value and material of the finished furniture. However, a high durability alone can not exist in the mass of seating furniture on the market. Therefore, research is constantly being made and designed to make seating as comfortable and ergonomic as possible. "From sitting, we understand more" is the corporate philosophy of Interstuhl. According to this statute, the latest knowledge, state-of-the-art technology and innovative design are used, setting standards in the area of seating furniture. The fact that a comfortable chair must look good, too, is known at Interstuhl. Selected architects and designers have their expertise and creativity integrated into the designs at Interstuhl. Thus, Interstuhl always looks for the chair, which is still timeless and modern in a few years. One does not rely on one-day flights, but on a long period of use of the furniture. This presupposes, of course, perfection in design, workmanship and material that is available to Interstuhl ready. At Interstuhl, the focus is not only on the production of classy seating furniture, but also on a continuous basis. Today, there is also a consciously limited selection of high-quality, thought-out and appealing conference and office tables for the Interstuhl range. Interstuhl Silver Chair 362S Swivel chair with synchronous mechanism and weight regulation with high backrest. Order now. Interstuhl, Silver 262S executive chair, medium backrest in Online Shop for designer and office furniture by pro office. Order now free of shipping costs. Interstuhl Silver Swivel Chair 162S, short backrest. Pro office online shop for office and design furniture. Interstuhl Silver Conference Stool 100S. Suitable as ottoman for 362s, 262s and 162s. Available here at pro office. Interstuhl, Silver, 191S, Conference chair, high backrest. 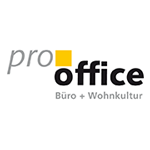 Pro office online shop für office and design furniture.